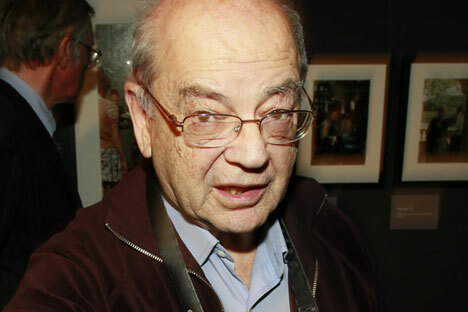 Founder of Russia's non-profit Dynasty Foundation Dmitry Zimin has announced plans to stop providing money to the organization after it was assigned 'foreign agent' status by the Russian authorities. "Certainly, I will not spend my own money acting under the trademark of some unknown foreign state. I will stop funding Dynasty," Zimin told Interfax on May 26. When asked whether or not the foundation has other sources of financing, and whether it would be able to exist without him, Zimin said: "It is unlikely." Zimin also disagreed with the Russian Justice Ministry's decision to assign 'foreign agent' status to Dynasty because, he said, this organization is funded with his own money, which is kept abroad. "I keep my money abroad. I have never concealed it. But Russia keeps some of its money abroad as well," he noted. The Justice Ministry's press service reported on Monday that Dmitry Zimin's Dinastia non-commercial programs foundation had been added to the register of foreign-agent non-governmental organizations. Facts were uncovered during scheduled document checks by the Justice Ministry's Moscow department indicating that this organization matches the classification of noncommercial organization, the press service said. Ten academics and 18 corresponding members of the Academy of Sciences from among the July 1 Club members, who protested against Russian Academy of Sciences reform, urged Justice Minister Alexander Konovalov two weeks ago not to enter the Dinastia Charitable Foundation into the register of foreign-agent nongovernmental organizations. The letter was signed by members of the July 1 Club Vladimir Zakharov, Leonid Keldysh, Alexander Kuleshov, Valery Rubakov, Sergei Stishov, Viktor Vasilyev, Nikolai Kardashev, Alexei Starobinsky, Robert Suris and Alexander Chaplik. It was also signed by 18 corresponding members of the Russian Academy of Sciences, who are members of the Club. The authors said that the foundation's activities were fully open and generally known, and "have nothing to do with defending the interests of foreign states." It is being financed from Zimin's private resources, even though they arrive from foreign bank accounts, it says.